Last month we celebrated Volunteer Appreciation Month at Ronald McDonald House. Without our wonderful volunteers we would not be able to provide a “home away from home” for more than 1,700 families each year. 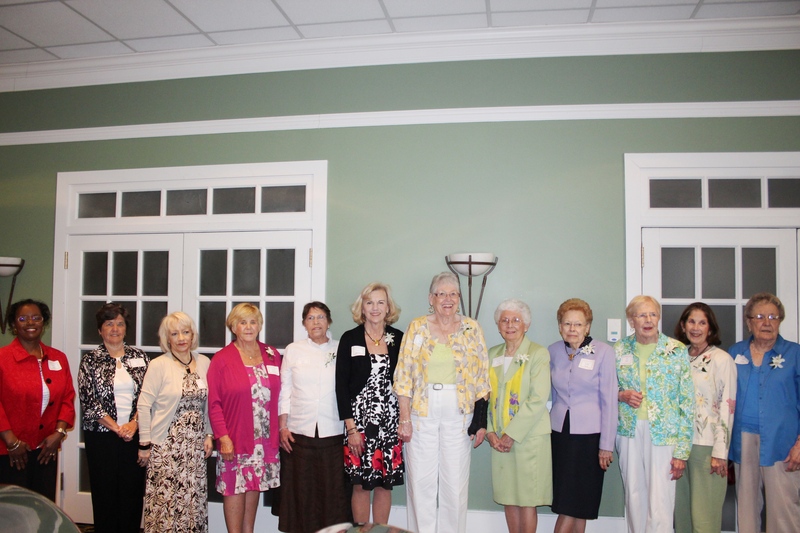 We held our 30th annual Volunteer Appreciation Luncheon on April 27th at Audubon Country Club. We gathered together to celebrate and show our appreciation for all of the time and love that each of our volunteers share to help keep our House and Family Rooms running smoothly. Together our volunteers help provide hope, comfort, and support to families who need it. Our volunteers give so generously of their time and talents, and we are forever appreciative. Years of Service – Each year we recognize shift volunteers that have reached certain milestones. Please note that we track years of service only for our shift volunteers and for consecutive years of active volunteering, but we would like to thank everyone for their support! 30 years of service – This year we celebrated a wonderful group of individuals that have been volunteering at the House since the doors opened in 1984 – that’s 30 years of making our House a Home for families in need! Words can never express how much we appreciate and admire these volunteers for their love and commitment to RMH. To All of Our Wonderful Volunteers: On behalf of all of the families served, I would like to say thank you for sharing your love with the House and Family Rooms. Every load of laundry done, meal served, and smile shared adds up to make a huge difference to our families. We are so thankful for all of you! Someone once said, “No one is more cherished in this world than someone who lightens the burden of another.” By volunteering for RMHCK you are truly lightening the burdens for families with sick children. You are making things a little easier, a little less stressful, and a lot more comfortable. For all the things you do, please know that we truly appreciate and cherish each and every one of you.